September 12, 2018 11:55 am. 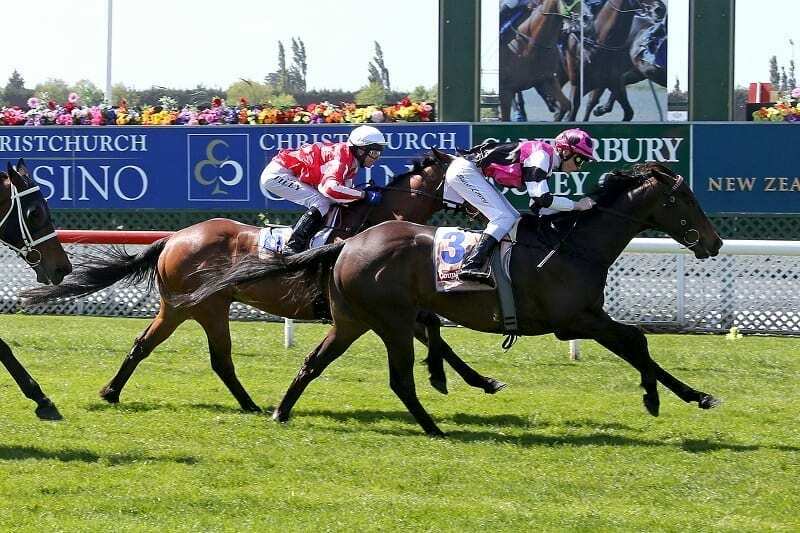 Riverton trainer Kelvin Tyler will bookend Thursday’s PGG Wrightson Real Estate South Otago Cup (1400m) field at Wingatui with What’s Up Alf and Timy Tyler, and he thinks both horses will be competitive fresh-up. Road to Rock seven-year-old What’s Up Alf, who has drawn the ace barrier, has been in good form over winter, securing a handful of placings and adding victory in the Gold Club Premier (1800m) at Riccarton last month to his five win career haul. What’s Up Alf was tipped out for a freshen-up after his last-start runner-up performance over 2000m at Riccarton last month and Tyler has set a course for next month’s Winton Cup (2000m) with the gelding. “He’s been going really well. He’s had a bit of a freshen-up since Riccarton so comes back in distance,” Tyler said. “He’s just having a bit of a run really to see where he is at. “He had ten days off after his last run and he’s freshened up quite nicely. He normally goes reasonably well fresh and he comes in well at the weights (54kg), so I’m pretty happy with him. I’m pretty sure he will go a good race. Tyler’s other runner in the race, Timy Tyler, is also returning from a freshen-up, but will need some luck from his outside barrier in the seven horse field. The No Excuse Needed gelding hasn’t experienced the same success of late as his stablemate, but his trainer was pleased with his unplaced run in the Group 3 Winter Cup (1600m) two starts back. “I didn’t think he went a bad race in the Winter Cup,” Tyler said.